Ariell Johnson checks out a customer at the cash register as patrons browse her store's collection of comic books. The 33 year old is the owner of Amalgam Comics and Coffeehouse in Philadelphia. You might say Johnson is a superhero herself. 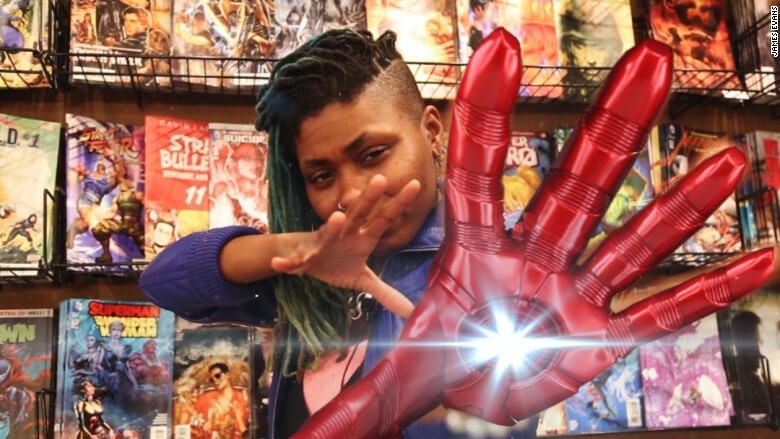 She's the first black woman on the East Coast to own and operate a comic book store. The comic book world tends to skew heavily towards white males. That's true among comic book authors and owners. But when it comes to finding inspiration, Johnson didn't have to look far. She turned to the X-Men. "The first character that really got me excited about comics was Storm of the X-Men. A lot of that had to do with the fact that she was the first black woman I had ever seen [in comics]," says Johnson. "Seeing her I felt like I could be a part of that world." A lifelong "fan girl" of all things "geek, supernatural and superhero," Ariell says she first had the idea to open her own shop in 2003. But even before Amalgam's official opening in 2015, the store was generating a lot of fanfare online. "Before we opened our doors we had over 1,000 likes on Facebook," says Johnson. "People were excited about the concept, excited about a new comic book shop in Philly, excited that it is owned by both a woman and a black woman because that is something that is not the norm in the geek world." There are only five comic book shops owned by African-Americans in the country, according to Yumy Odom, Founder and President of the East Coast Black Age of Comics Convention. That puts Johnson in a rare group of people and gives her the unique power to help influence the community around her. For Amalgam that means finding books beyond the usual Spider, Bat and Supermen. "I want to be very proactive and conscious to make sure we are carrying diverse titles. The smaller stuff, the independent stuff, the more diverse stuff that you really have to look for and I think it's worth it. Seeing people representative of you can be important in your development and your self esteem," says Johnson. Even though the store is still in its first year, it's already making a difference. The East Coast Black Age of Comics closed out its convention this year at the store. "Mrs. Johnson has created a very welcoming space for the comic book, sci-fi and fantasy communities here in Philadelphia," says Odom. 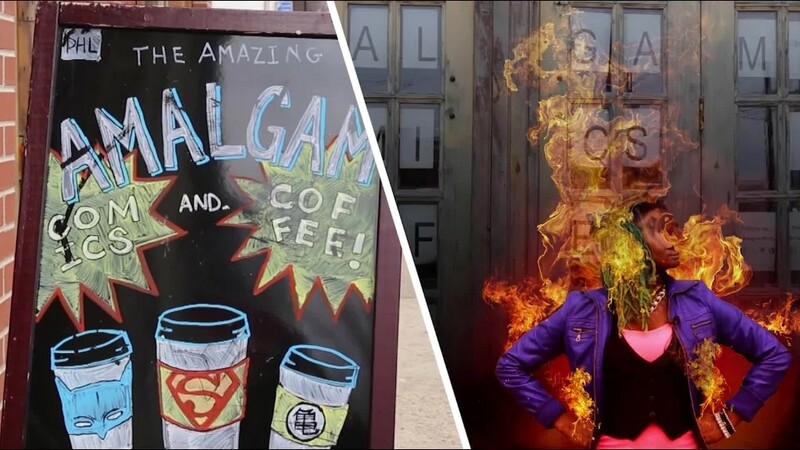 Johnson wants Amalgam to become a gathering spot not only for comic book and coffee lovers, but for those she feels are overlooked by the comic book world. "There are a lot of black girl geeks in the world but we are not at the forefront. This store is also kind of a statement - we're here, we've been here and we're going to keep being here. I get a lot of little girls saying, 'This is so cool. You have a great book collection,' so, it's exciting to see." Even though she's now the "head nerd in charge," Johnson realizes the seriousness of her new position. "I think Spiderman's catch phrase applies here, 'With great power comes great responsibility.'"